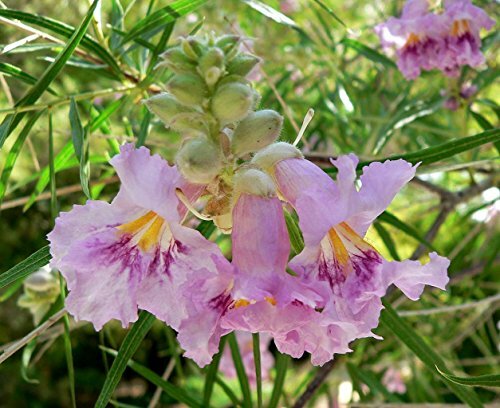 Desert Willow is a deciduous small tree or large shrub having long (6-12 inches), narrow leaves with airy foliage casts with a funnel-shaped blossom. This tree has a slender, twisting trunk and a spreading crown. 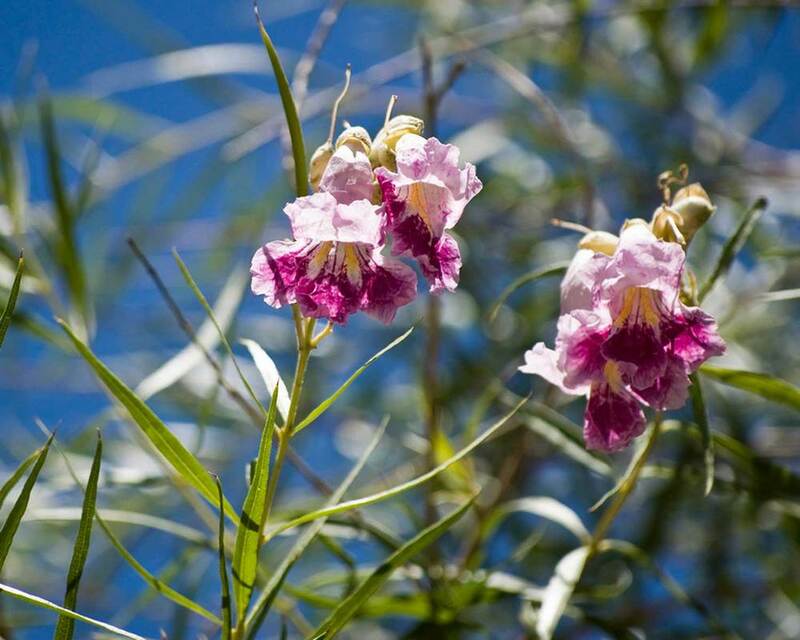 Desert Willow trees can get 15-20 feet tall and have trumpet-shaped flowers with a sweet fragrance. 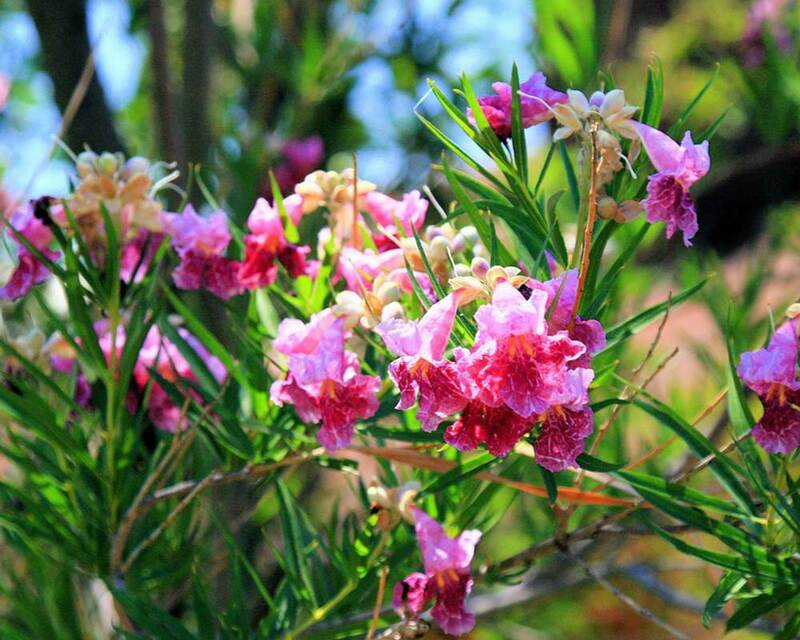 Blooms range in color from light pink to light violet. They have a scaly bark and narrow and papery pods hang decoratively. They also have alternate willow-like leaves and hairy or sticky slender brown twigs. 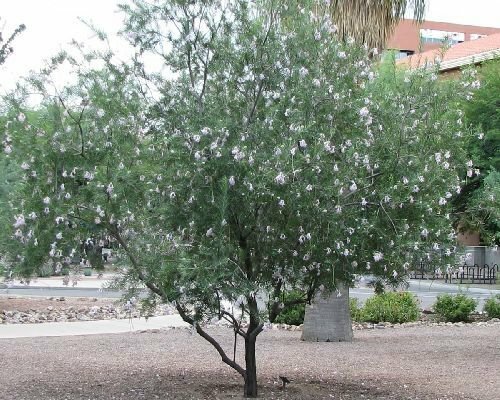 The violet-scented flowers are replaced by slender seedpods by early autumn and are a good, drought tolerant solution that can tolerate arid conditions. 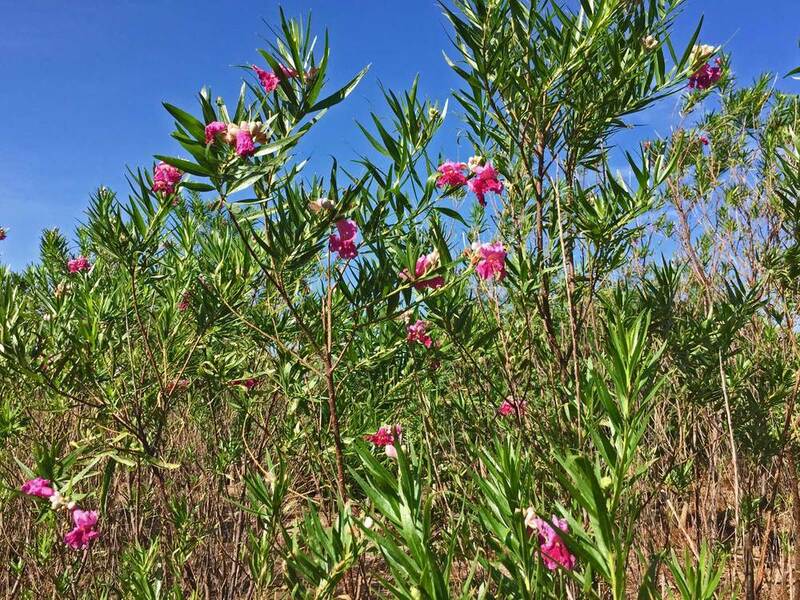 Because of the long beautiful flowering period, it is one of the best small native trees of Texas and has become a popular native plant for residential gardens.